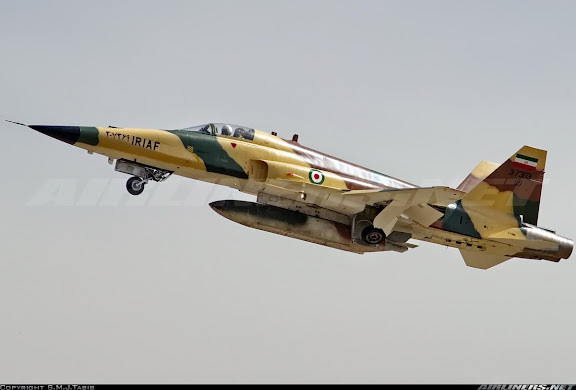 During the run-up to the 2015 Iran Military Day, imagery of another IRIAF Saeghe has turned up in Asia Minor II upper-surfaces camouflage scheme. 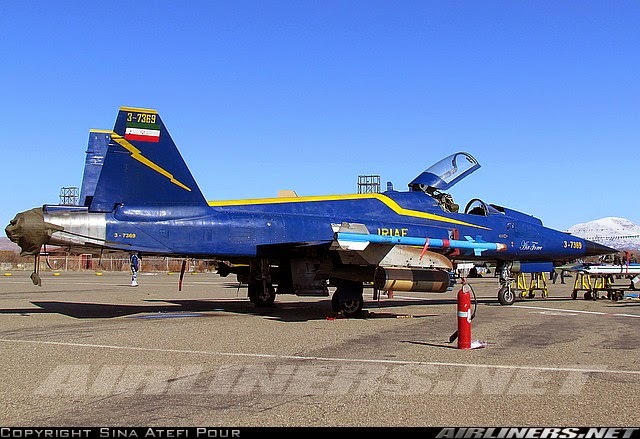 This aircraft is Northrup (HESA) F-5E Saeghe, serial 3-7369 (cn S110-004). Photographed by S. Tabib on 09APR15 at Tehran/Mehrabad TFB-1, this Saeghe fighter-bomber also appears currently assigned to 23rd TFS at Tabriz/Shaheed Fakouri TFB-2.